Let's all take a moment to appreciate how stunning this collection is; the packaging is beautiful bright blooms and the products include a mosaic of stunning shadows and blushes. It's clean, modern and overall beautiful. 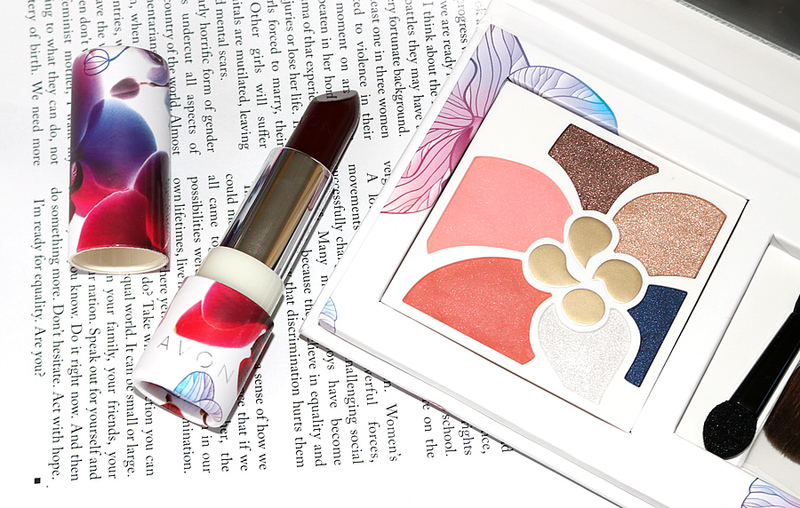 Here I have a lipstick and palette from the new Avon "over nature" collection. Now let us get into the details of these products and if they are worth putting on your wish list. 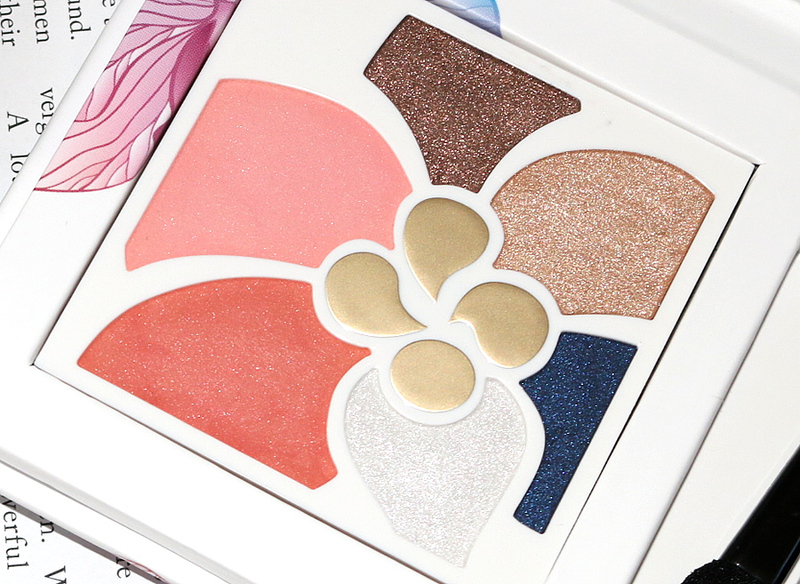 This palette is a mosaic of four eyeshadow shades and two blushes. Eyeshadows; Blue, Brown, deep purple, cinnamon toast. The names of these eyeshadows aren't quite accurate as I don't see any purple and it doesn't acknowledge the sparkly white. With that being said, it's quite an unimportant aspect of the product and these eyeshadows are STUNNING. There is no other way to put it. The deep blue looks like a starry night while the brown looks like it's mixed with golden sand. This palette screams luxury and I love playing around with the four unique and complex shades. Blush; Angelic and Blissful. There is a light baby pink that would look beautiful on pale skin while the darker shade is a peachy apricot that would compliment tan skin best. Making this palette is a go-to no matter what time of year. This deep berry shade is definitely comparable to the cult classic MAC Rebel lipstick and I will definitely be getting my use out of it before the Winter season is up. I love these dark wine hues because they instantly add drama to any outfit, maybe even turning a look from day to night in one swipe. it is colours like these that are great to have on hand in the moments you go out to drinks after work or remember your friends birthday party is on after a long day at Uni. My mood and confidence instantly lifts when I apply a shade like this so I am happy to add another to my collection. the formulation is smooth and creamy making it easy to apply. Just be sure to use a lip liner otherwise things can get a bit messy, as with all dark creamy lipsticks. I am really impressed to see a range such as this from Avon because it looks like something you would find at a high end makeup counter. You can tell there is so much thought and detail into each product which is something I really appreciate when it comes to makeup.